If your goal is to have a powerful and well-developed muscle mass that awakens more than one envy, get down to work and follow these tips to gain muscle healthy by avoiding common mistakes in your diet and training. Genetics influence but if you want bulky and steel muscles, you can achieve it by being consistent and working hard to achieve it. Sometimes we think that starting to go to the gym, spending endless hours in the gym or training strength with the maximum weight possible is the best way to gain muscle, but this is not always the best way to reach your goal. Developing muscle mass in a healthy way implies not only the necessary intense training, but also to respect rest periods and follow a proper diet that nourishes those muscles that, you must remember, grow when they are at rest. During the stage of muscle growth, you must follow a hypercaloric diet because you need to go over the energy to carry out effective training. 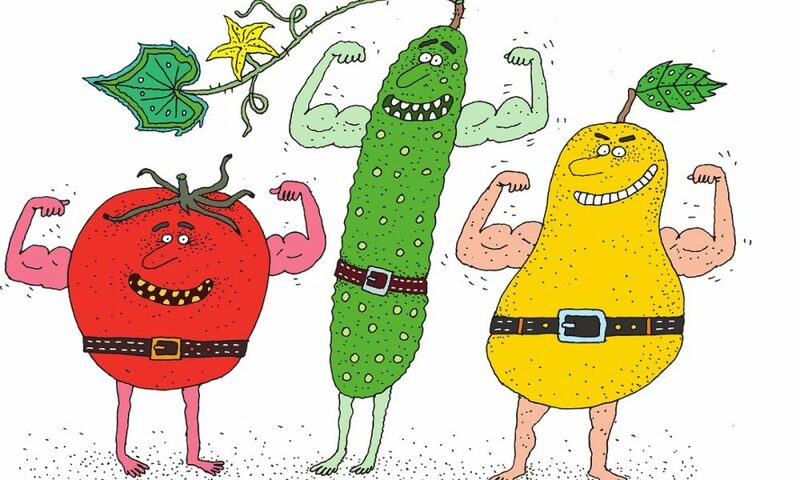 So that your muscles have the necessary nutrients that allow their development, if you lack enough energy, your muscles will pull their own reserves and enter catabolic phase, mass muscle destruction, just the opposite of what you want. To give you an idea, you should increase your calorie intake by 500 – 800 Kcal daily if you are a man and around 300 – 500 if you are a woman. It is a basic premise to increase muscle volume with health. The protein, essential for building muscle tissue you should predominate, but hydrates, a primary source of energy and fat, low and always in proportion unsaturated, must also be present in your menu. To prevent your body from working “in a vacuum” and always having energy, it is important to divide your daily food intake into 5 – 6 meals. In your diet, also increases the intake of fluids, especially water, because proper hydration is essential for your muscles to gain volume in the healthiest way possible. A protein shake or an isotonic drink that provides mineral salts and extra hydration after training are excellent aids that will contribute to the development of your muscles, but supplements are just that, an extra that should not be abused. Consult your doctor or nutritionist any question you have about it and solve your questions before starting to consume supplements. It is not a matter of hours but a training program to gain muscle in which you work both large muscle groups and areas where you want to achieve higher growth. To obtain good results, it is important to have the help of a coach or monitor who knows how to direct your effort and establish series, repetitions and rest times appropriate to your physical characteristics. You must avoid overtraining, which only leads to possible injuries and the exhaustion of your muscles, something that would slow down their development. It is a common mistake to want to accelerate the growth of the musculature by working with loads higher than those recommended. If you’re going to gain volume in a healthy way and without damaging your muscles, start working with a weight no higher than 65% – 70% of the maximum weight you can lift in a repetition. The idea is that your muscles can complete, with their load, a series of at least 6 – 7 repetitions. Increase the effort little by little because, only then, you will gain muscle with health. After a hard workout, nothing better than sleeping eight hours. That restful sleep is the best “supplement” for your muscles to grow while they recover from the effort and you can relax the muscles after intense training. It is also advisable to leave at least one day of rest between two sessions of strength. Did you ever tried to gain muscle? What results did you get and how long it took? Articles from MyViralBox' contributors and guest bloggers.